You are here: Home / Announcements / Campus events for the week of Oct. 2: Transfer fair, Mid-Autumn festival, Party Like it’s 1985 and more! Campus events for the week of Oct. 2: Transfer fair, Mid-Autumn festival, Party Like it’s 1985 and more! Here are the events happening around campus for the week of Oct. 2. Come discuss job opportunities for students and graduates with a representative from Trueform. Employer visits are posted as a public service for informational purposes only. This does not indicate any specific endorsement or relationship with Shoreline Community College. 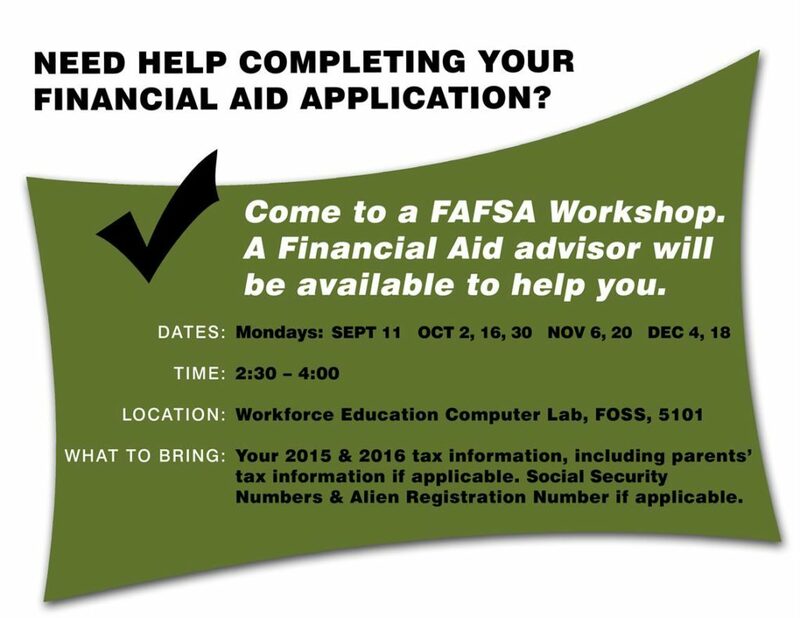 Need help completing your Financial Aid Application? Come to a FAFSA Workshop. A Financial Aid advisor will be available to help you. Come to the Washington Council Fall Transfer Fair on Tues., Oct. 3 in the PUB Main Dining Room from 10 am – 1 pm to meet with university representatives about your future transfer. Learn about admissions requirements, deadlines, and majors offered at a variety of area schools. 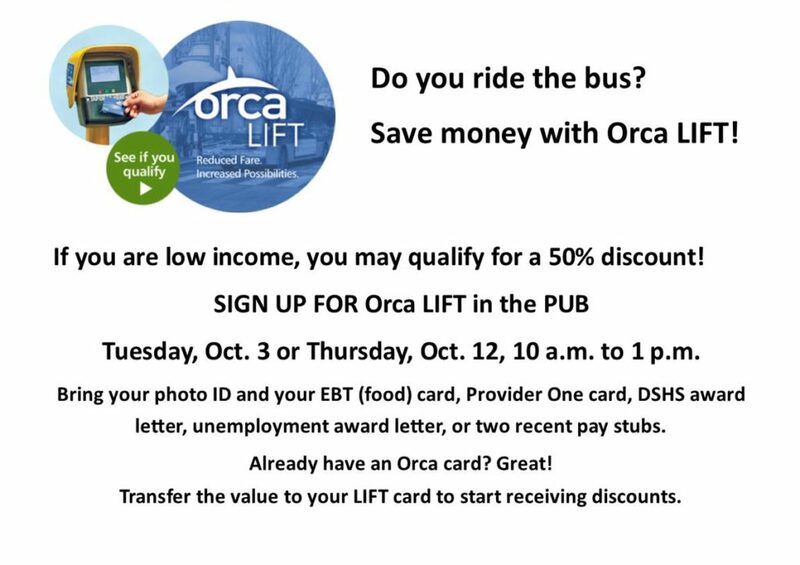 Save 50% every time you take the bus with an Orca LIFT card. Transfer the value on your current Orca card to a LIFT card to start saving. To sign up, bring your EBT card, unemployment award, DSHS award letter, Provider One card, or pay stubs to the Orca-to-Go cart in the PUB Tues., Oct. 3 or Thurs., October 12 from 10 am – 1 pm! Applications for graduation are due on October 13. If you have questions about the process, advisors will be out and about to provide guidance. They’ll also be available to answer any questions you have about the College, transferring, or degree planning. 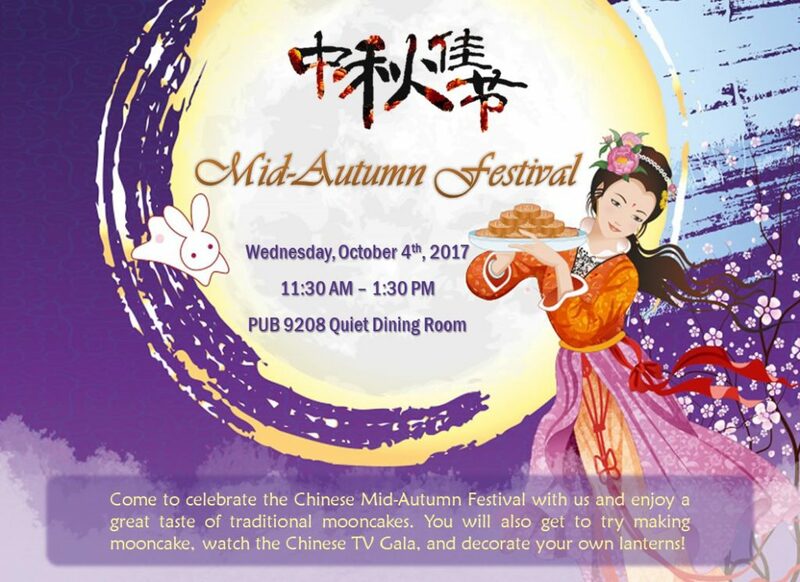 International Education invites the entire campus community to come celebrate the Chinese Mid-Autumn Festival in the PUB Quiet Dining Room (9208) on Wed., Oct. 4 from 11:30 am – 1:30 pm. Enjoy a taste of traditional mooncake, try making a mooncake model, watch the Chinese TV Gala, decorate your own paper lanterns, and more! This event is free and open to the community. Come to this interactive workshop with Success Coach Carrie Bayless. Together you will use a quarterly calendar and your class syllabi to plan for a great quarter and establish good academic habits. You’ll leave with a plan for each week of fall quarter. To celebrate National Manufacturing Week, the Advanced Manufacturing department is hosting an Employer Fair. 12+ employers will be in attendance and the event is open to the public. Come celebrate the new school year with us by partying like it’s 1985! Get into the 80s groove with FREE food, music, and dancing. There will be prizes for the best costumes, so be sure to dust off your shoulder pads and arm yourself with Aqua Net and neon galore! 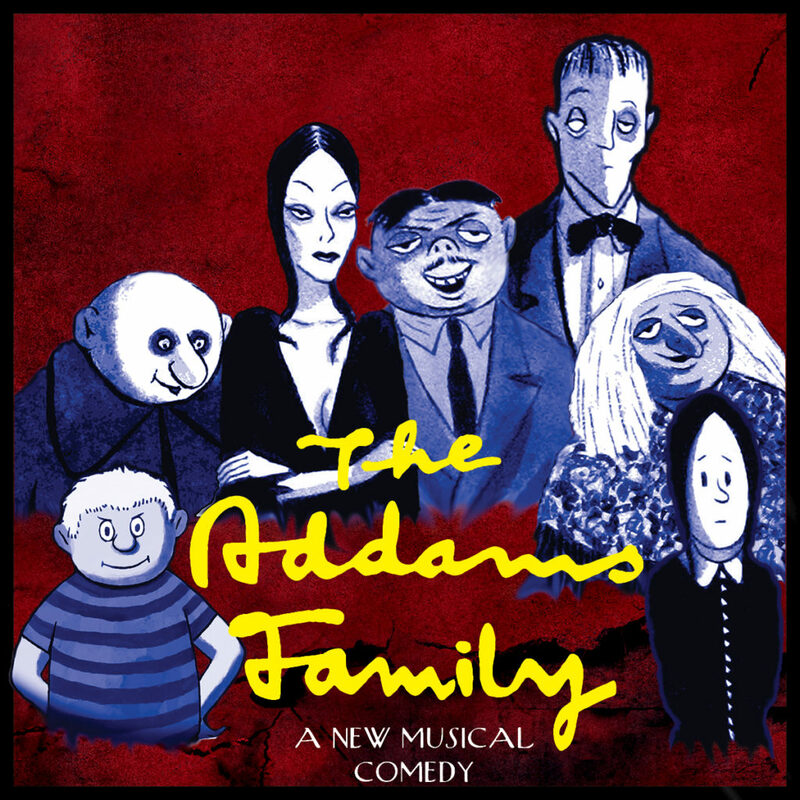 FREE to all – community members welcomed! Come on out and cheer for our Phins as they take on Olympic College at home. #GoPhins! « Register for Mental Health First Aid Training NOW!